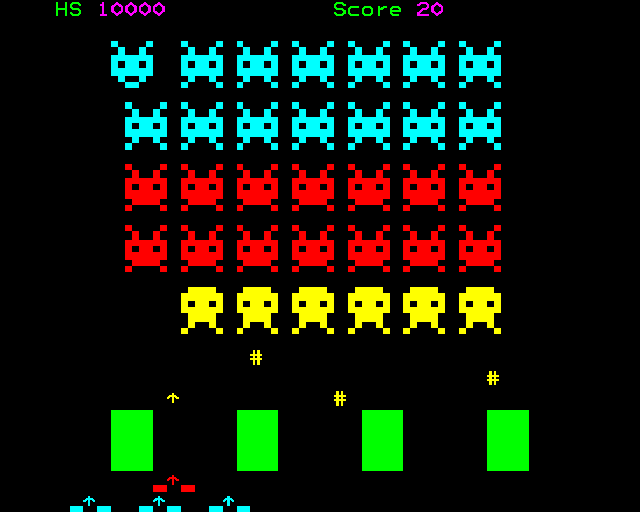 Here is a complete implementation of space invaders. Even though it is written in BASIC, and uses MODE 7 graphics, you'll be amazed to see how faithful it is to the arcade original. Full instructions are included in the game, which was written by Mark Bucknell. There are a number of options you can trigger, such as 'freeze/unfreeze' and turning the sound on or off. The SHIFT key is used to fire.